Want to know who is at your front door at home? Or who is trying to gain access to your elementary school or apartment complex? 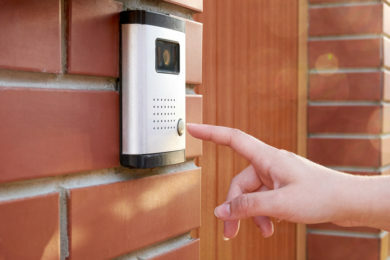 We can install an intercom system that gives you knowledge and protection—inside or out. Decades ago, intercoms had more to do with convenience than security. At home, a mother could call her children from their bedrooms to the dinner table, and at the office, a secretary could communicate with her boss or other employees. Today, audio and video intercom systems are keeping people safe in apartment buildings, secure facilities, schools and homes. Guests must make themselves known and request access. Give us a call today to talk about what has you interested in installing an intercom system.